Comments Off on What are the Chances? 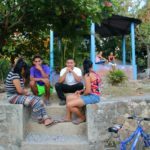 The tedious arrangements of our scheduled interviews for this trip to El Salvador had been painstakingly made months in advance as well as securing plane tickets using frequent flyer points. What are the chances of a major storm hitting our area on the day of departure? As it turned out, pretty darned good. The phoning began in earnest initially without any luck. It seems every other East Coast passenger had the same idea of re-booking their flights. However, you are always told to keep calling and different airline representatives may give different answers. Sure enough, a sympathetic customer service rep in Utah was our godsend on the other end of the phone. When she heard we needed to attend a church meeting in San Salvador, she not only booked us through Chicago straight to San Salvador, but got us first class seats! What are the chances of getting an airline employee whose heartstrings tugged with faith to help us during our dilemma? Sure enough, we store our luggage in the overhead compartment; we sit comfortably stretching out our legs in the spacious non-cramped room between seats; we fasten our seat belts; the flight attendant offers us drinks. Then that all-consuming, mouth-watering, enticing aroma of warm nuts hits us. I think they purposely let the smell permeate the cabin for extra minutes before they bring them out just to make you savor them more. “Remember,” I warn, “NO nuts!” as he glares and rolls his eyes at me. 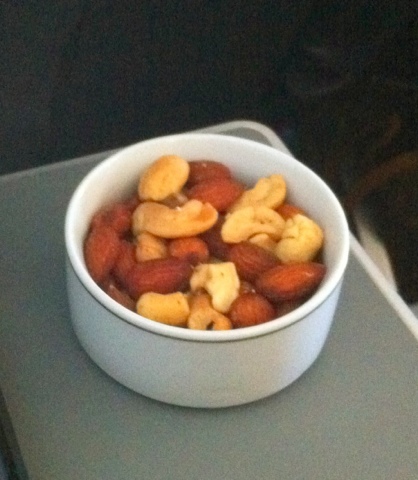 The flight attendant didn’t ask, she simply placed the little white bowl filled with the mostly almonds – sure, I’m allergic to THEM – on each of our tray tables. He loved that because he didn’t have to verbally refuse them; there they sat in front of him. I quickly grabbed his away since he did NOT decline them and I would NOT let him eat them! Now it is a full scowl rising in said partner’s eyes and we haven’t left the tarmac. “Oh, sure I do.” I had to continue to press him to make a case for why he could not have treated my partner. 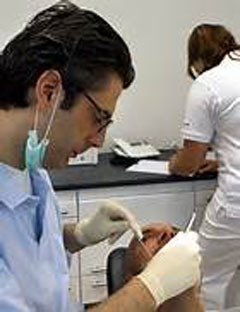 “But, you don’t do emergency work after hours, right?” But accommodating Dr. Eduardo was just not helping my case. “Of course; anytime anyone calls me; I’ll go into the office to help them. Here is my card if you need me.” What are the chances? More arrows fly my way. This time I keep my mouth shut. Guess I’ve done enough damage for day one of our trip. My silent, yet expressive partner is now wishing he’d taken his chances with Super storm Sandy instead of me.